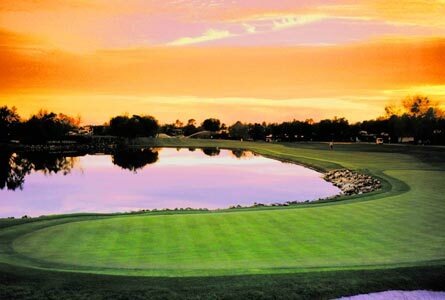 It is a rite of spring, the fawning over Arnold Palmer and his beloved Bay Hill Club and Lodge’ Champions Course during the week of the PGA Tour’s Arnold Palmer Invitational. The announcers are going to have to work extra hard this year, though. The layout has some significant agronomic issues as Alex Micelli’s article in Golfweek, details. The greens are in such bad shape a regrassing is scheduled. The 18th doesn’t look healthy in this video of a kooky shot off the rocks. Players were quoted criticizing the conditions but none went on the record, probably fearful of tarnishing the image of the King. “It looks like a combover,” one unnamed player described the grass on the greens to Micelli. Bay Hill officials would not comment on the issue, according to Micelli’s piece. Cherished? You can see where this is headed. Back in 2009, there were really only two ultradwarf bermudagrasses to choose from, TifEagle and Champion, and possibly a third, MiniVerde. 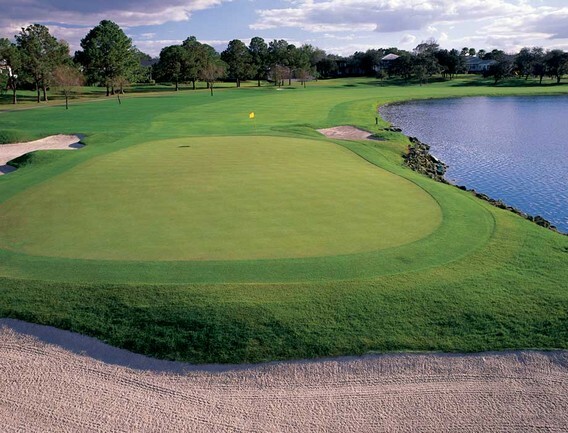 The greens will now be converted to TifEagle, according to the Golfweek story. Why Bay Hill came to choose Emerald is unknown. The 2011 blog post, though, offers one clue. Aerification is an invasive process that can in the short term cause revenue loss while the procedure and subsequent healing of the turf takes place. It is, however, vital for the long term health of the grass, especially an aggressive species like bermudagrass which produces much more thatch than bentgrass or meadowgrass (Poa annua). There was no mention in the blog post if Beaver had a hand in selecting Emerald or if he was in favor of reduced aerification. Beaver is no longer the superintendent at Bay Hill. Chris Flynn took over in July. Here’s what one of the King’s men said about Emerald in 2011. Four years after he uttered those words there is mud on the greens and yet the Bay Hill team is spinning this into a positive and not admitting fault. Obviously that’s not the Bay Hill way. When the massive redesign of Bay Hill debuted at the 2010 Arnold Palmer Invitational, I wrote a blog post criticizing the television announcers for not having Palmer explain why such a massive renovation was necessary, described by the King as “We changed everything on the golf course, except the fairways,” during a television spot. According the Micelli’s article, new superintendent Flynn has already touched the fairways converting five acres of rough. “You can tell how the course was shaped and what was supposed to be fairway, but the rough had encroached into the fairways. They had lost their shape over the years. We went hole-by-hole and re-marked where the fairways should be and mowed them to reflect how the course should play,” he said. Let’s get this straight, neither the King nor Arnold Palmer design realized that the fairways on his beloved Bay Hill were nowhere near the size and shape they should be, but the new superintendent did? Wow. Good for Flynn. Bad for everyone else. Come Sunday, however, none of this will matter. It will have been a great tournament. The course will have been in wonderful shape, they’re be lots of talk about the new “G-Angle” bunker and the King will still reign.